WASHINGTON — U.S. News & World Report named Princeton University the nation’s top national university and Williams College the top liberal arts college. The 2016 rankings, released Tuesday, assess nearly 1,800 colleges and universities on 16 criteria for academic excellence. 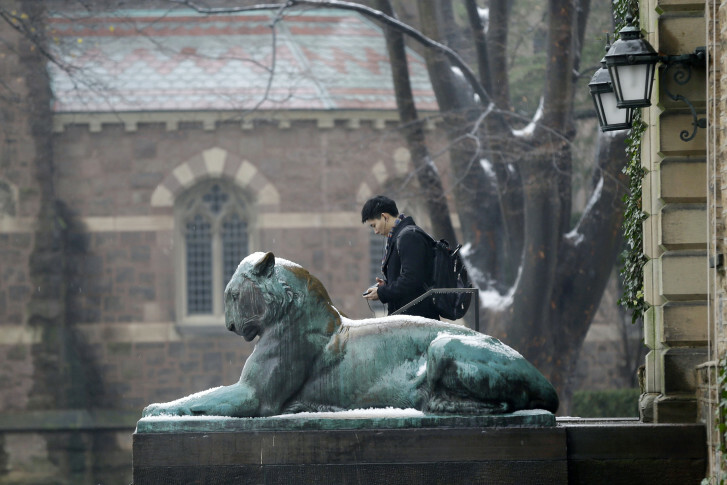 For the third year in a row, the top spots went to Princeton, Harvard and Yale. The Massachusetts Institute of Technology, Duke University and the University of Pennsylvania took the next spots. Johns Hopkins University and California Institute of Technology tied for No. 10. Hopkins, in Baltimore, had not been in the top 10 since 2000. For the fifth year in a row, Williams, Amherst and Swarthmore took the top spots on the list of the top liberal arts schools. After the four-way tie for fourth place, Carleton College came in at No. 8, while Claremont McKenna College, Davidson College and the United States Naval Academy in Annapolis, Maryland are tied for ninth. U.S. News & World Report also ranked universities regionally. Maryland and D.C. fall within the rankings for the north, while Virginia is considered part of the southern region. Loyola University in Maryland and James Madison University both made the regional rankings. Loyola tied for No. 3, along with College of New Jersey and Bentley University. Villanova University and Providence College ranked No. 1 and No. 2 respectively on the regional rankings for the north. James Madison University ranked No. 7 in the south. Elon University, Rollins College and The Citadel took the top three slots. The complete rankings are on U.S. News & World Report.